produced by AJC! in Brussels, Belgium. In an industrial farm, an epidemic broke out among the employees. Patients lose all appetite for routine business of life and no longer wish nothing but contemplate the sun’s path. 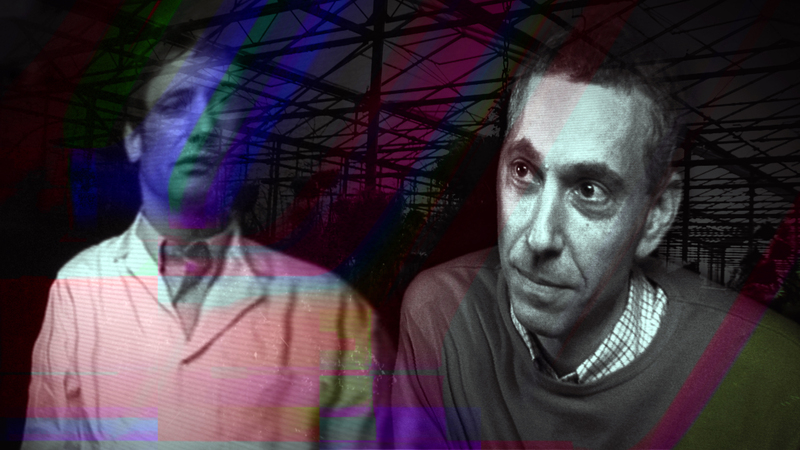 A doctor is confronted with these men who claim to have become plants. He discovers that his patients are bound by a promise that fred them from their human condition. While conducting its investigation, the doctor shows the first symptoms. with Simon Korn, Eric Godon, Serge van Duijnhoven, Pedro Cabanas, Jean-Michel Barthéléry. This film was made under no-budget circumstances. It was produced by AJC! who produces no-budget films since 1977. They provide gear, human support and editing rooms. The dialogues were written and we didn’t improvise scenes. The shooting of the dialogues was made in workshop conditions: 1 day of shooting per week (on sundays or mondays) during roughly 2 months. 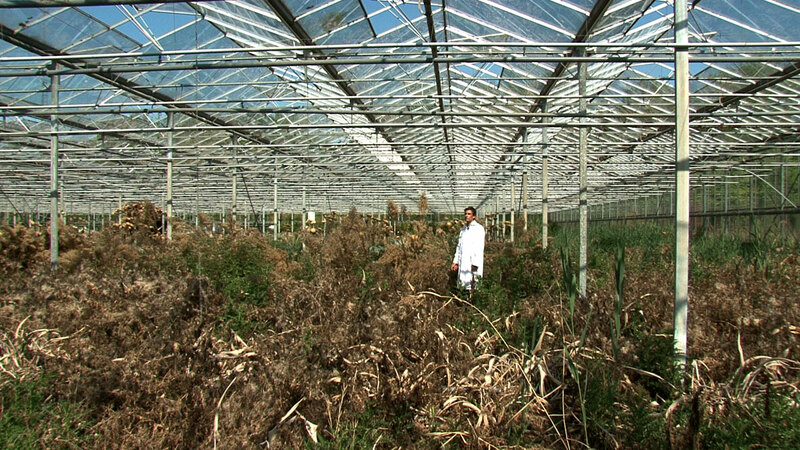 The shooting in the greenhouse was made during and after the shooting of the dialogues. The form wasn’t determined in its details before post-production, and the post-production process required lots of creativity by the image, sound and fx editors which decided the movie’s final form. The result is sensibly different than the scenario, yet the initial intentions persist. Invited in May 2012 to participate to a short-movie screening in a Brussels garden, i answered with this edit made from the rushes of the film Les Hommes Plantes that was in post-production. In Les Hommes Plantes, most of the images of the actors are strongly treated with visual effects, so this is the opportunity to keep a trace of some raw sequences of the shooting. Images of the great serigraphy poster made by Carole Louis and still images and glitches from the movie.